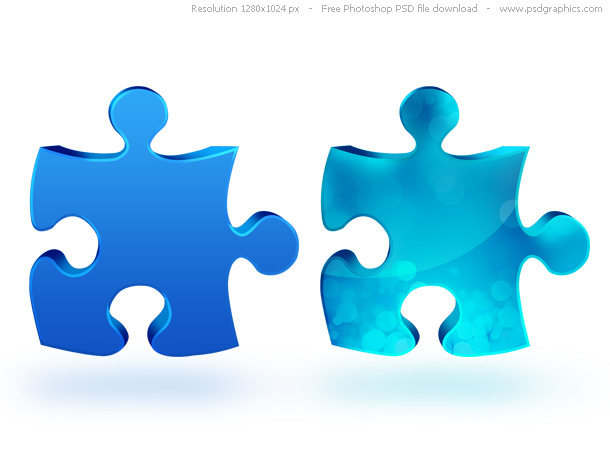 Jigsaw puzzle icon in Photoshop PSD format. Two similar versions, 3D solid blue color puzzle with a shiny edges, and glossy puzzle with a light blue magical pattern. 3D object isolated on white background.